The dining scene at Samplings on the Fourteenth during night time is completely different from the ambiance during daytime. I know that because I was once assigned to try the food prepared by culinary students from Berjaya University College (lunch time). 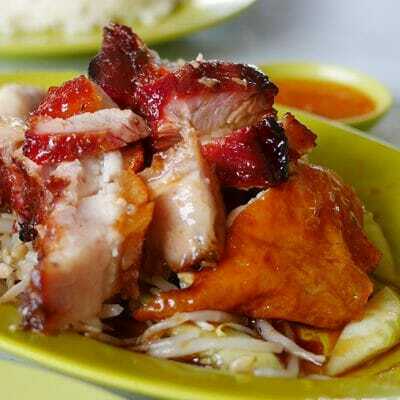 In that visit, the food lacked in many areas and service although friendly, had many flaws. 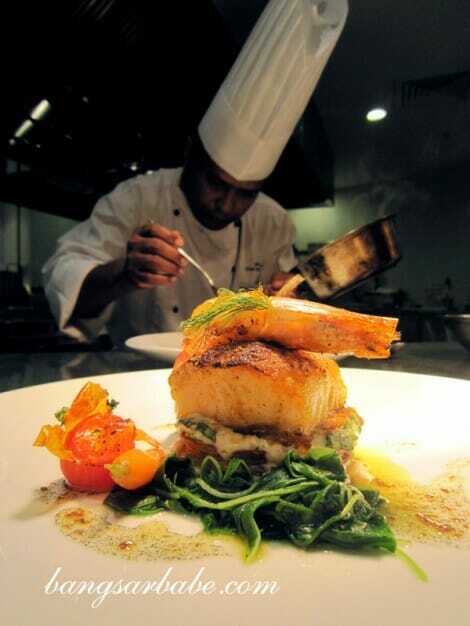 Come dinnertime, the place transforms into a fine-dining establishment with a skilled team of chefs headed by Chef Val. The floor staff were equally delightful; they were there when needed and their choreography as a team was organized. rif and I started our MIGF dinner with an amuse bouche, a smoked salmon and oyster duet with mustard mayonnaise. 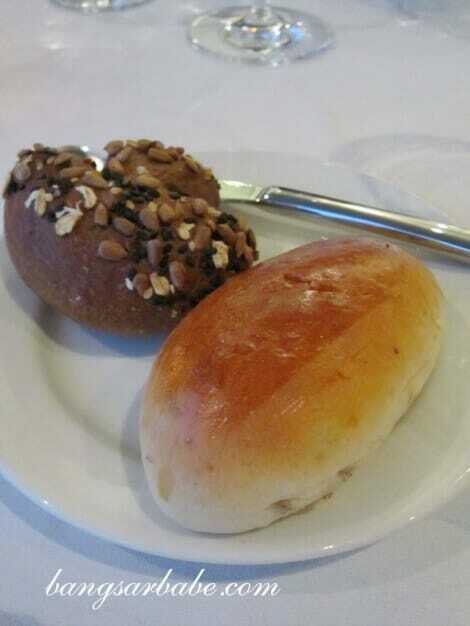 We also tucked into their freshly baked bread – hard multi grain roll and soft herb roll. The latter was lovely a generous slather of salted butter. 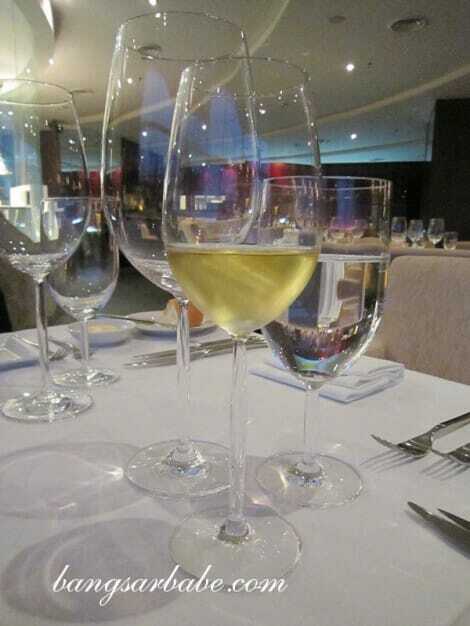 My waiter poured me a glass of Cloudy Bay Chardonnay and the appetizer of seared foie gras, tomato and onion tart, and US scallops with yellow mushrooms and chive salad followed shortly. 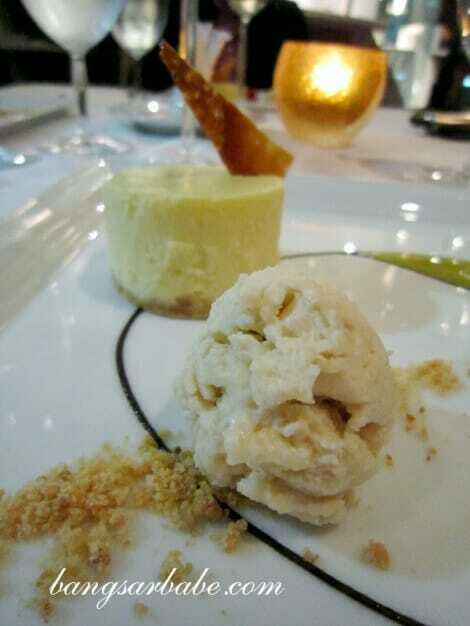 I swooned over the foie gras’s buttery, melt-in-the-mouth texture and creamy flavour. The pan seared scallop was tender, sweet and succulent, with salty accents from the trout caviar and a good bite from the Chantilly mushrooms. It paired beautifully with the chardonnay. The smoked duck essence looked slightly anemic to me, but it was aromatic and packed with flavour. Unlike mushroom soup, the consommé takes a longer time and more effort to prepare—the duck is first smoked, and then soaked overnight in the broth. It is removed the next morning and the broth is then left to boil until it becomes a flavourful reduction. The meat is shredded, seasoned and used as the raviolini filling; I wouldn’t mind a bigger piece of raviolini, but that’s because I’m greedy. The ginseng root added a Chinese touch and an interesting aftertaste to the consommé. 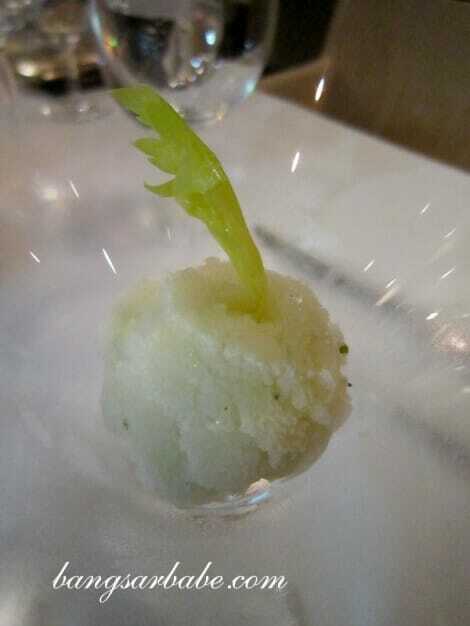 Our palate cleanser before the mains was the celery and mint sorbet. This reminded me of the juices my mum makes for me every day, only nicer. The sorbet was mildly sweet and refreshing. We each chose a different main course – he had the cod while I ordered the veal rack. 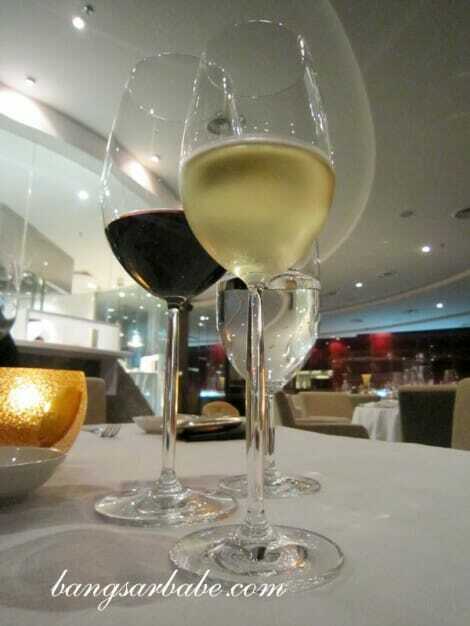 The former was paired with the Puligny Montrachet and the veal, with the Nicolas Catena Zapata, Malbec. The black cod – topped with a seared prawn – was a winner; moist and flaky, and drizzled with a little bit of vanilla oil for extra aroma. The bed of escarole risotto was as good as it looked. To hold its form, the risotto was placed in a fried potato strip mold. Also good was the prawn – succulent and sweet with a charred flavour. I almost wanted to trade my veal with this. On its own, the Puligny Montrachet was too dry for my liking but it was alright when taken with the cod. 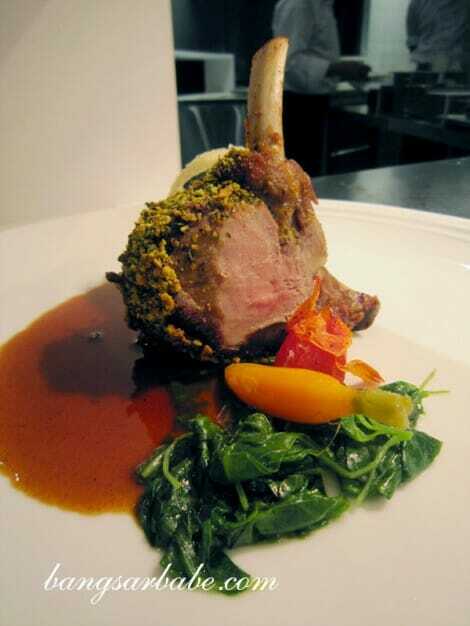 The baby back veal was tender all over, and the pistachio crust gave it an interesting texture and a nutty flavour. Chef Val made the truffle jus lighter, so it didn’t overpower the natural flavour of the veal. While this dish was good, it was a tad ‘safe’ for me. I was expecting a twist in the sauce or sides, like the black cod. The Malbec was deep coloured, mellow and beautifully balanced. Dessert was a hit and miss for me. 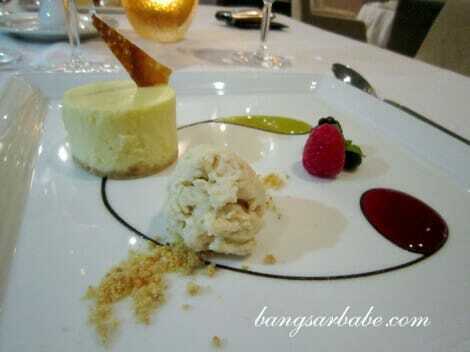 I loved the rich and creamy texture of the ricotta cheese cake, which had a buttery thin biscuit base. Since ricotta is relatively mild, the cake didn’t have a strong cheese flavour. That was fine by me, because too much cheese can be cloying. The chestnut mousse was rather bland and uninspiring; I reckon it would have tasted better sweeter. 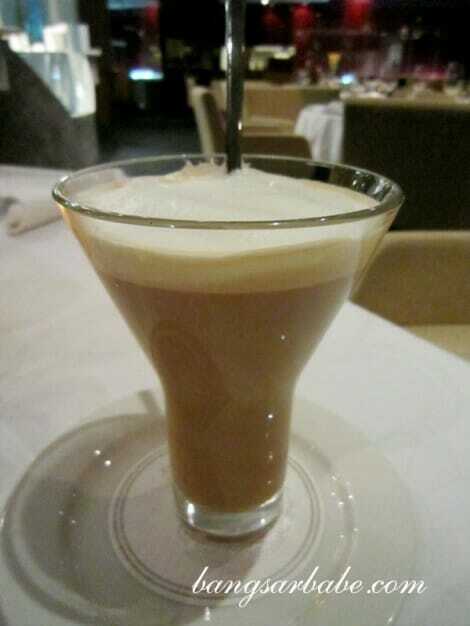 I found my latte too milky, while rif mentioned his black coffee was ok.
On a whole, dinner was quite good. 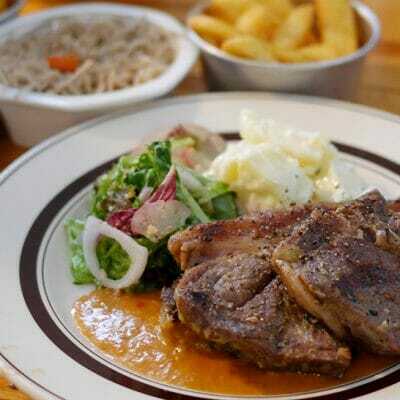 The food was well-presented and portions were generous. 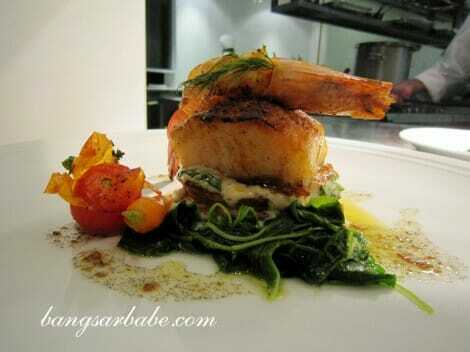 I like how Chef Val creatively used sauces and oils to enhance the flavour of the food. Thank you Siew Yee, for the kind invite! Verdict: Quality ingredients and a creative play of flavours. The seafood dishes in particular, stood out. 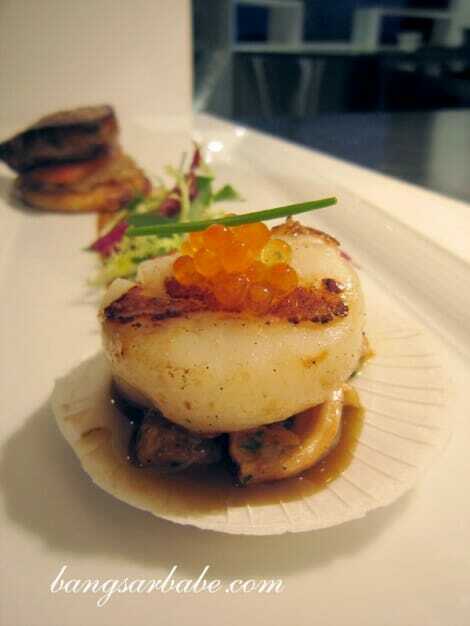 Had the foie + scallops appetizer at the gala launch and thought it was really great! I think this was by far the most generous portion of foie gras I’ve eaten! I ended up having my mum’s 50th Birthday at Samplings – they did a superb job at hosting it, and the price per head was beyond reasonable. As for the MIGF, ended up going to L’heritage…was pretty good too. Thanks for the wishes Brian!